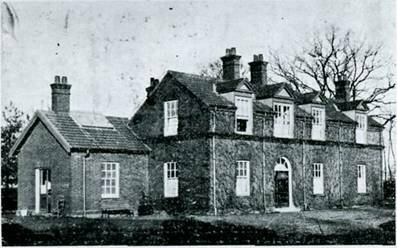 Built by public subscription, on a piece of land made available by Lord Walsingham, the Watton Victoria Cottage Hospital was opened in 1897 to mark Queen Victoria's Diamond Jubilee, and closed after the formation of the National Health Service. The building with un­ changed exterior now stands on part of the Victoria Court development on Thetford Road . Like most cottage hospitals, the Victoria was not intended to deal with serious illness or major surgery it could, however cope with minor illness, uncomplicated fractures and above all it provided a haven for the ill and elderly whose condition did not justify admission to a major hospital but who were too ill to look after themselves, and for those needing nursing care which family and friends just could not provide. We often hear now that, in bygone days the better things of life were only for those who could pay, but in the field of health care this is not entirely true.